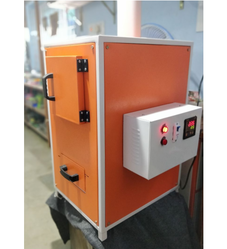 Prominent & Leading Manufacturer from Coimbatore, we offer clinical wastage destroyer, orange colour napkin destroyer and napkin destroyer all in one. 1. Double wall Ceramic Board technology 'PUF' insulation. 2. "Epoxy Powder coated" with 7 time process. 3. Heater of high power makes the temperature rise quickly and improves the efficiency. 4. Big door open makes it convenient to load used Napkins. 5. Easy removing Ash Collecting tray ensures cleanliness. 6. Three stage computer programmed control of sensor, Thermostat and timer gives long life for Heater and reduce the electricity bill. · Double wall Ceramic Board technology ‘PUF’ insulation. · “Epoxy Powder coated” with 7 time process. 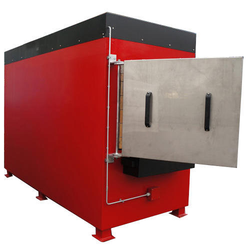 · Heater of high power makes the temperature rise quickly and improves the efficiency. · Big door open makes it convenient to load used Napkins. · Easy removing Ash Collecting tray ensures cleanliness. 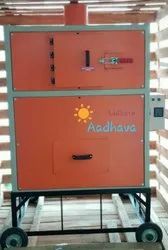 · Three stage computer programmed control of sensor, Thermostat and timer gives long life for Heater and reduce the electricity bill. With the valuable assistance of skilled team of professionals, we are engaged in offering an extensive range of high-quality Napkin Destroyer All in One.